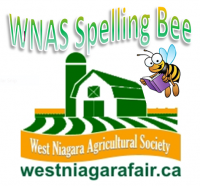 Entertainment and Fun for the Whole Family at the WNAS Fair! An exciting line-up of entertainment for the whole family to enjoy! Hey Kids! Take a ride on the Barrel train! This Train is run by the Niagara Antique Power Association. The train will be here daily Saturday and Sunday and best of all its a free "train" tour around the grounds. 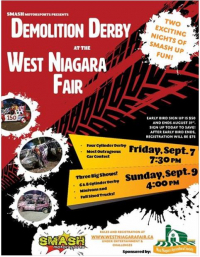 The Demolition Derby is always a visitor favourite at the West Niagara Fair and this season will be no exception with some of the best smash 'em up excitement in Niagara! This years derby's will be run by *SMASH* Motor Sports! Here you will find information on dates, times, rules and for those wishing to compete, how to enter. ***Reminder "Early Bird" registration is $50 and ends August 31st! After Aug 31st registration is $75. Are you the proud parents of the cutest baby or toddler ever? - Do they have the cutest chubby cheeks or the biggest eyes? or can they out crawl any baby you've ever seen? Bring them to the fair and enter them in the Baby Show to win! 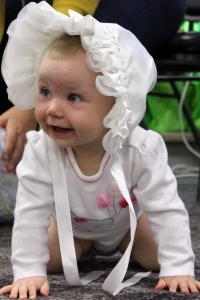 Then immediately following the baby show, have them race in the exclusive "Babies only" Diaper Derby. Experience the Magic of meeting some unique and not so common animals up close and in person! Hands on Exotics is an animal shelter based out of Toronto, Ontario which specializes in the care of exotic animals (i.e. animals other than cats and dogs. 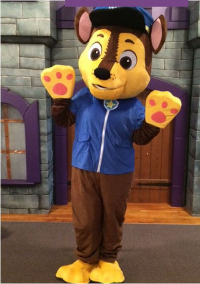 This show offers you the chance to get up close and personal with some very friendly and unique pets! Have you got the biggest pet, the smallest pet? Most unique pet? Do they do the best trick? Can they make loud noises? do they look like you? Are they the best dresser? ...Bring them to the Pet Show! Hey kids! - Don't have a Pet? But have a Favourite stuffed Animal?... bring them to the fair to win too! Meet Chase, Skye, Batman and Elsa! The West Niagara Fair is excited to welcome some of your favourite furry Super Hero's, the Caped Crusader and Frozen's Ice princess! Come Meet Chase and Skye on Saturday and on Sunday Batman and Elsa! On Saturday afternoon, starting at NOON, (weigh-in at 11am) come see another fan-favourite - the Antique tractor pulls. Come share in the excitement of the competition and power of these classics! Ever imagined what it would have been like to race with your chuck wagon through the "Wild West"? 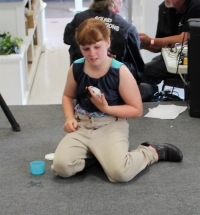 The Ontario Chuck Wagon Racing brings a minture version of this to our fair! Mini-Horses pulling Mini-Chuckwagons will be racing at the Outdoor ring. Between races, come over and meet and pet the horses, their drivers and see their wagons...perhaps even take a picture or two with one! Can Pigs really fly? How about a cow? a tractor? or??? - In this fair they can! Here is the challenge - Make a kite that is Agricultural-related (for example a flying pig, tractor, or ???) 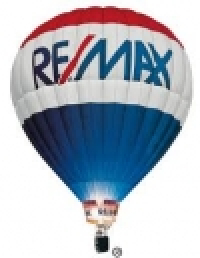 and come fly it at the fair to win! We are excited to welcome back the Southern Ontario Truck and Tractor pullers Association! Last month we welcomed SOTTPA for its first event on our newly constructed track, made especially for this type of pulling! Come down to the Tractor/Derby area and see some exciting pulling action! Come see this 30 minute action-packed show featuring an entourage of dogs. 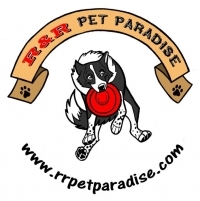 See highly ranked World Disc Dog (Frisbee) champs, Lap dogs and couch potatoes that entertain with special tricks and surprizes. Watch as they demonstrate agility, relay racing, flying disc freestyle & long distance catches, high jumping, musical freestyle, comedy and tricks! 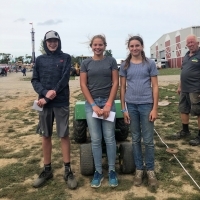 On Sunday morning return to the grandstand track (Tractor and Derby pit arena) at 11am to catch the lawn tractor pulls followed at 1pm by the ATV pulls. Come witness the power of these little engines and not so little engines and share in the excitement of the competition! Here in Niagara we like to groom our Derby drivers early! 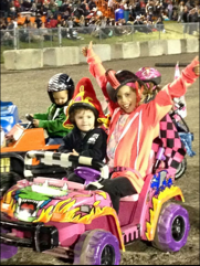 West Niagara Fair is proud host the "Power Wheels Derby for Kids" run by the Southern Ontario PowerWheels Derby Association. Registration starts at 2:30 at the Derby Pit area. The Demolition Derby is always a visitor favourite at the West Niagara Fair and this season will be no exception with some of the best smash 'em up excitement in Niagara! This years derby's will be run by *SMASH* Motor Sports! Here you will find information on dates, times, rules and for those wishing to compete, how to enter.